Starting seedlings in small pots that you can transplant lets you get a jump on Mother Nature, but commercial peat pots can be expensive. 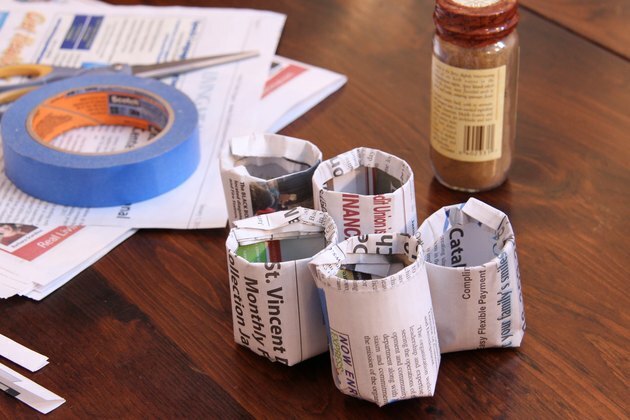 Recycle old newspaper into starter pots, and you can help save both the earth and some cash. 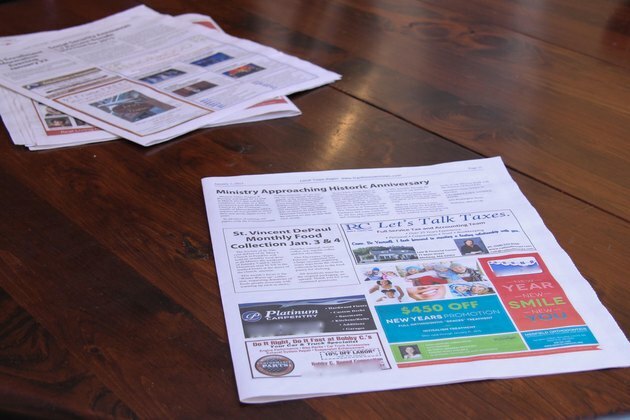 Lay out a full sheet of newspaper, folded at the existing crease. This makes two layers or four reading pages. 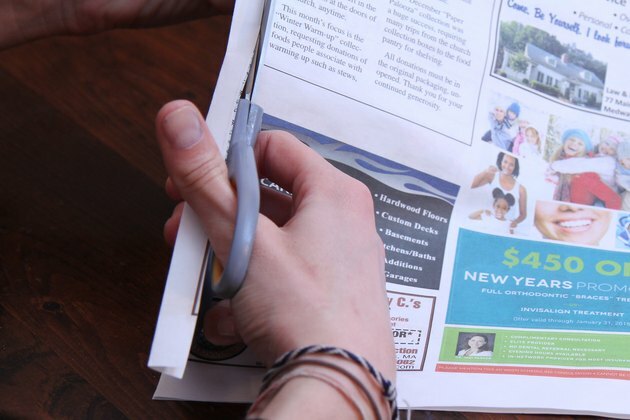 Trim the fold off, cutting about 1/8 inch from the fold line to create two pieces of paper. 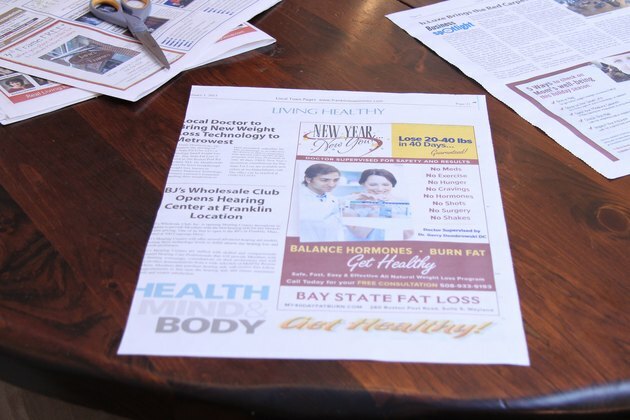 Place one sheet on your work surface as you would to read the paper. Fold the sheet into thirds, from left to right or cut the larger sheet lengthwise into three strips that measure about 4 inches by 22 inches. If you cut the strips, tape them together end-to-end. 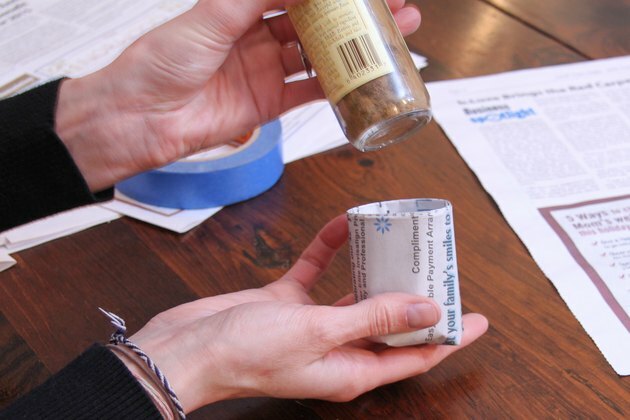 Wrap the folded sheet around a tomato paste can or a spice container, aligning the tops and leaving an overhang of paper at the bottom and leaving the wrap a little loose. Wrap the taped strips around the can until you reach the end of the last strip. Add a small piece of masking tape to hold the end in place. 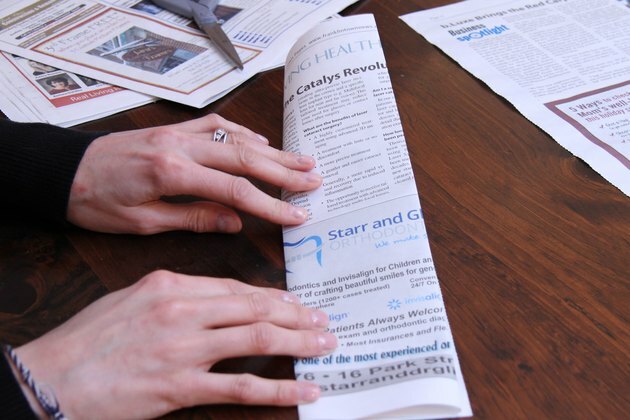 Fold the extra paper toward the bottom on the can, folding about one-third at a time. 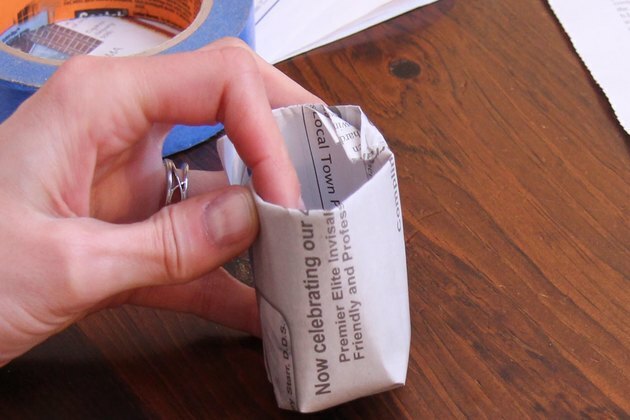 Add a small piece of masking tape at the center to secure the folds. Slide the can out of the paper tube. 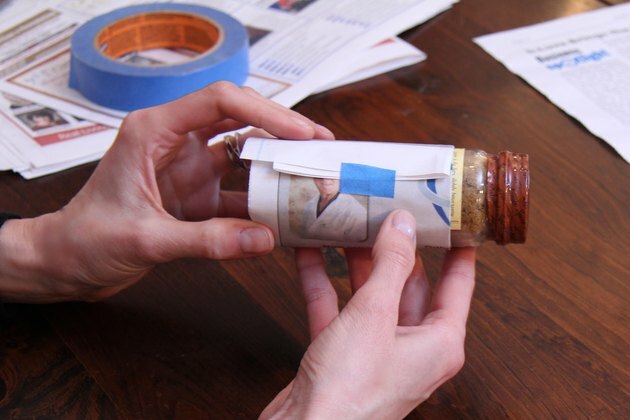 Fold the top of the paper to the inside of the tube to help hold the pot together.